has been used for centuries. Because it treats your body as a whole, acupuncture not only reduces pain immediately but it can help you avoid future pain in the same areas. It’s so effective that conventional medical doctors often suggest acupuncture treatment for pain. Acupuncture for chronic pain is a powerful and natural treatment. The needles stimulate points on your body that release endorphins and other natural pain relievers. They also, according to research, increase the electromagnetic signals between the different cells in your body. This can encourage healing and eliminate pain. Acupuncture increases blood circulation to different parts of your body and relaxes your muscles. It also helps promote emotional well-being and can increase the effectiveness of your immune system. Instead of bringing the rest of your health down in order to reduce pain (like conventional medications do) it raises the level of your whole body health. There are many different types of pain that people can experience, and acupuncture is an effective treatment for them all. Back pain is very common and is a result of sprains or strains. Your acupuncturist may use local needles on your back to treat your pain, but most treat it with distal needles placed on other parts of your body. Your acupuncturist may use cupping or electrical stimulation along with needle insertion. Arthritis is another common form of pain that can be treated with acupuncture. Arthritis can affect many different joints in your body. Depending on where you are experiencing arthritis pain, your acupuncturist may insert needles directly at the site or at other important points along the meridians. If you think acupuncture is limited to treating skeletal or muscular pain, think again. It’s also been proven effective in treating migraine headaches. You can use acupuncture to relieve pain and even prevent future migraine attacks. By targeting areas that regulate blood flow to your head, your emotional state and hormonal balance your acupuncturist can eliminate migraines entirely. No matter what types of pain you are experiencing, acupuncture has the solution. 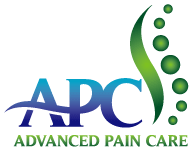 During your first consultation, your acupuncturist will work with you to identify your pain and create a treatment that is designed to heal your body. In a matter of just one session, you’ll feel the benefits of using acupuncture to treat pain.